Mine's Kirby, how about you? Mine Is Kodi But I like most of the main characters escept that goose stella But I like Kodi because he is like Balto n a way and he tries hard. Yeah, even though Stella was annoying, Boris needs someone. I like the main characters from Balto 1. Kodi was my favorite, ^^. kirby might have been my second..
Yeah, I liked Kodi too. 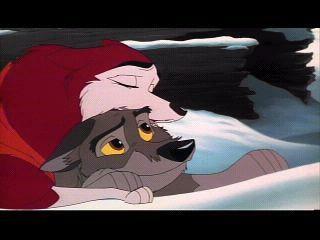 Yeah, I liked Balto too. Boris- As usual. Good friend.